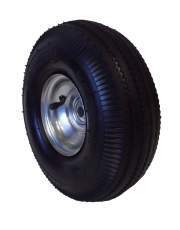 Here You Can Purchase Replacement Wheels and casters For Your Hand Truck. 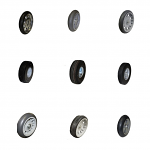 We carry replacement wheels for Magliner, Harper, Wesco, and other Brands. Magliner Gemini Replacement Casters 5"
Replace the Caster not the Hand Truck! Replace the Wheels not the Hand Truck! Don't waste precious time, effort and money on changing out or repairing your entire wheels or casters when you can just get a new set or pair of wheels and casters quickly at an affordable price! Let Handtrucks2go provide you with quality replacement wheels and casters of your choice. Here you’ll find numerous well-known brands like Magliner, Escalera, Harper, Ace and more all constructed in many quality materials including rubber, stainless steel, iron, polyethylene, polyurethane and nylon in numerous sizes, durability requirements, budget-constraint and configurations that are well-suited for a wide range of applications and terrains. Browse through our available replacement casters and wheels and you might find the specified dimensions and features you’re looking for. Keep in mind that all of these are able to withstand and handle heavy duty applications without fail as well as being able to perform its best despite everyday stresses due to material handling operations. 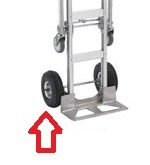 The replacements are for hand trucks, dollies, carts, pallet jacks and any general warehouse equipment. Here at Handtrucks2go, we take pride in giving you only the best and top-quality products. These replacement wheels and casters are no exception, well-built and top-tier materials mixed together to make these guys the perfect choice for fixing-up existing equipment and providing you a longer lasting and firm material handling solution. Handtrucks2go is your go to site for top quality replacement wheels and casters!